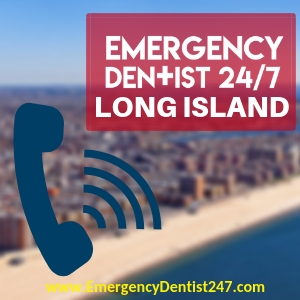 Nothing can be as scary as facing a dental emergency, especially if you can’t find an emergency dentist in Long Island when you need one. 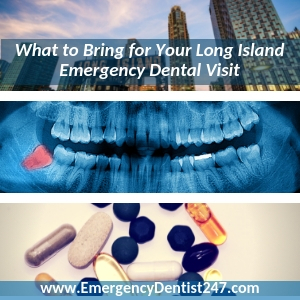 Finding help from a Long Island emergency dentist when you need one is now easier than ever to do. Just give us a call at (855)-352-6790 and we’ll use our 24-hour emergency dental referral network to set you up with an appointment. Don’t wait for your emergency to get worse, call us right away. Remember, you will need to arrive at least 15 minutes early in order to give yourself enough time to fill out paperwork, ask any questions you may have, and to talk to the emergency dentist about any anxiety or fears you may have over the procedure. Knowing what you’re going through can help you gain some peace of mind before you’re able to get to the emergency dentist appointment we’ve booked for you. Dental emergencies come in different ways – they’re either the result of an accident or another event that results in a dental emergency, or because of ignored or underlying oral health problems that were never properly treated. Either way, you need to make sure that any head trauma is treated first. Head trauma outweighs any other injuries present, no matter what. Once you’re completely certain that you haven’t sustained any head trauma, do your best to find the lost tooth. Pick it up by the crown, avoiding the root, and rinse it off with some water as gently as possible. Make sure that you avoid touching the root as much as possible. Doing so can destroy the tooth to no return, ensuring the emergency dentist will not be able to safely implant it back into the empty socket. To keep it safe until your appointment, you can best preserve it by temporarily putting it back into the empty socket yourself, or you can store it in a cup of either milk or water. It’s important to understand that oral infections, no matter the form, are a time-sensitive dental emergency that can easily turn into a life-threatening one if they aren’t taken care of by an emergency dentist as soon as possible. If you even suspect that you have an oral infection, call us right away. The best way to figure out if you have an oral infection is to check your mouth for small, red bumps. Oral pain is always an indication that something is wrong, so make sure you pay attention to that, as well. 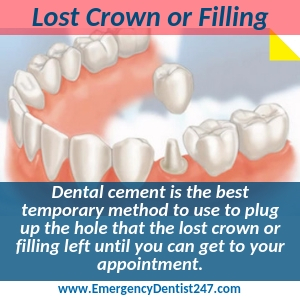 If you’ve lost a filling or a crown, you need to act fast to ensure the tooth it came off of doesn’t take any additional damage. Find some dental cement, gauze, or even some cotton balls. Whichever method you use, make sure the tooth is covered at all times until you can get to the appointment we’ve booked for you. 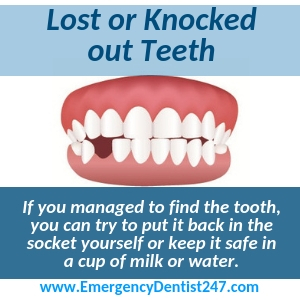 Leaving the tooth exposed could mean an emergency tooth extraction instead of having it recapped or refilled. Having to face an emergency tooth extraction is never easy – especially if you’ve been told at the absolute last minute that you need one. However, you can be fully ready to have one done if you know a little about the procedure and what you can expect. A numbing agent will be used to ensure you feel no pain, just a bit of pressure. Once it’s had a chance to kick in, the emergency dentist will use a set of dental pliers to remove the tooth whole or break it up into smaller pieces and remove them by the fragment. Once the tooth has been successfully removed, the emergency dentist or one of their staff members will take some time to discuss important aftercare instructions with you. You’ll need to follow their instructions at home to make sure the extraction site stays clean and free of infection. Finding same day denture repair in Long Island and emergency denture repair Long Island has been difficult for patients to find in the past. Because of this, we’ve made sure to include emergency dentists who work closely with denture lab technicians in our emergency dentist referral network. It’s now possible for patients to have repairs made to their current set of dentures, or go for a full denture fitting, all during the same appointment. If you need an emergency room doctor and an emergency dentist, it’s important to know where you need to go first before you make any other decisions. If you have any sustained head trauma, you must go to see an emergency room doctor first. They can’t save your teeth, but they can treat your head trauma. There are emergency rooms that have emergency dentists on call, but this is very rare. An emergency dentist can only treat your oral injuries and save your teeth, so if you have any head trauma, make sure you see an emergency room doctor first. We can book you an appointment with an emergency dentist while you receive treatment for your head trauma, so don’t hesitate to give us a call while at your local ER.